Tradition and continuity are two of the values which characterise the relationship between Freemasonry and universities. It was nearly 200 years ago that the first university Lodge,Apollo University Lodge, was founded at Oxford, with Isaac Newton University Lodge following soon afterwards at Cambridge. Since then many thousands of young men have been introduced to Freemasonry through these two Lodges, and they provided the inspiration for the Universities Scheme. This was set up at the beginning of 2005 with the objective: ‘To establish and/or enhance arrangements and opportunities for undergraduates and other university members to enjoy Freemasonry’. The UNIVERSITY OF BIRMINGHAM LODGE is no stranger to initiating younger candidates. Over 66 years ago on 24th April 1944 W. Bro. Michael Roper-Hall, then a Lewis, was given a special dispensation to be initiated into the Lodge whilst under the age of 21 and today he is still an active and highly respected member. We are proud to uphold this tradition, and since the scheme began many new, young candidates have been initiated into our Lodge. As members of the University Scheme the UNIVERSITY OF BIRMINGHAM LODGE is able to offer help to young applicants and young Masons. If you are a young Graduate or Undergraduate under the age of 21 and wish to become a freemason then the correct route is to apply to a Freemason Lodge that is a member of the Universities Scheme. You are at liberty to choose any, but it is prudent to select either a lodge associated with your own university or one in the same geographical area. The UNIVERSITY OF BIRMINGHAM LODGE was the second of over 40 other Lodges pursuing a similar, yet distinct, course. 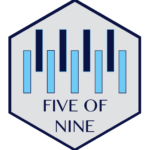 Its membership consists of undergraduates, postgraduates, senior members of the university and alumni, ranging in age from 18 upwards, it is no stranger to initiating younger candidates, and since the scheme began many new, young candidates have been initiated into our Lodge. All under-25s benefit from the recent decision by Grand Lodge to dramatically reduce their dues in order to make Freemasonry as accessible to as wide an audience as possible. 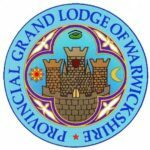 The United Grand Lodge of England and The Province of Warwickshire join with our lodge in offering substantial discounts to you whilst you are in this age group. Amounts vary year on year, therefore please ask when you meet us and an up to date value can usually be given. Membership and dining fee’s for Under 25’s are designed to be affordable for students on a budget. But what happens after you graduate? Moving on.